After a very long time of hearing about it, the long-awaited Texas Chainsaw Massacre origin story Leatherface is finally getting released. The movie has reportedly been completed for quite some time, but now Lionsgate is finally getting ready to unleash the blood-soaked horror affair on us this Halloween season. Now, we have a new Leatherface poster to help sell us on the idea that a Texas Chainsaw origin story can work. This new Texas Chainsaw prequel poster was shared by prodcuer Christa Campbell on Twitter and seems right in line with what fans should expect from the franchise at this point. We see a big, bulky figure dragging an unfortunate soul through the woods. Since this movie is going to deal with uncovering the mystery of the person behind the mask, we can't definitively say who it is that is dragging the body. But either way, it certainly doesn't look like this person is being dragged to safety. That much is clear. There was already a prequel done in 2006 with Texas Chainsaw Massacre: The Beginning, but this movie is going to be quite a bit different. Leatherface features a teenage version of the famed murderer who escapes from a mental hospital with three other inmates. The four teens kidnap a young nurse and take her on a hellish road trip. Along the way, they are pursued by a deranged lawman who is out for revenge. One of the teens will encounter tragedy and horrors that ruin his mind, turning him into the horror icon we all know as Leatherface. Despite the possible discouragement that comes from knowing Leatherface sat on a shelf for a while, the marketing has done a pretty solid job of selling this movie. The first trailer was absolutely horrific and over-the-top with the bloodshed and had some truly excellent shots in it. The posters have also been pretty ominous and do their best to invoke the same feelings that Tobe Hooper's original Texas Chainsaw Massacre conjures up. Even with a rough road to release, this could be something for horror fans to really look forward to this Halloween season. The cast for the movie includes Stephen Dorff, Lili Taylor, Sam Strike, Sam Coleman, Vanessa Grasse and it clocks in at 90-minutes, which seems just about right for something like this. Those who are eager to check out Leatherface can do so starting on September 21, 2017, when the movie is released exclusively on DirecTV. 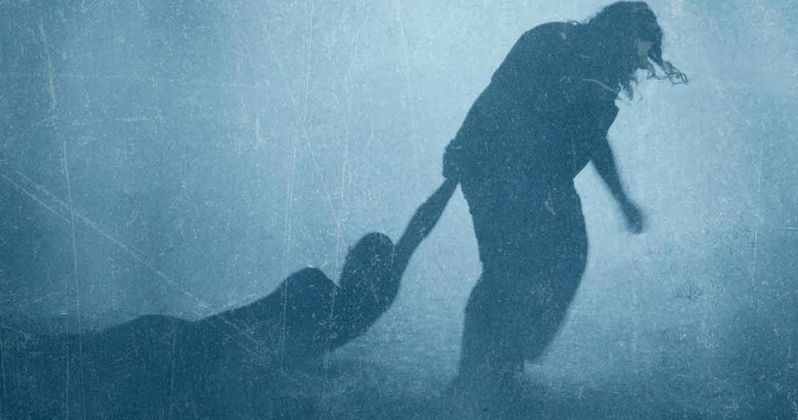 If you're looking to catch it in theaters, Lionsgate is giving Leatherface a limited theatrical release and full VOD release on October 20, so be on the lookout for showtimes in your area. Leatherface was directed by Julien Maury and Alexandre Bustillo (Among the Living, Inside) with a screenplay from Seth M. Sherwood (The World of Cory and Sid). Be sure to check out the new Leatherface poster for yourself below, we've also included the red band Texas Chainsaw prequel trailer in case you missed it earlier.